I ran another one-day driver training course at the weekend and introduced four new candidates to the dark art of double de-clutching! 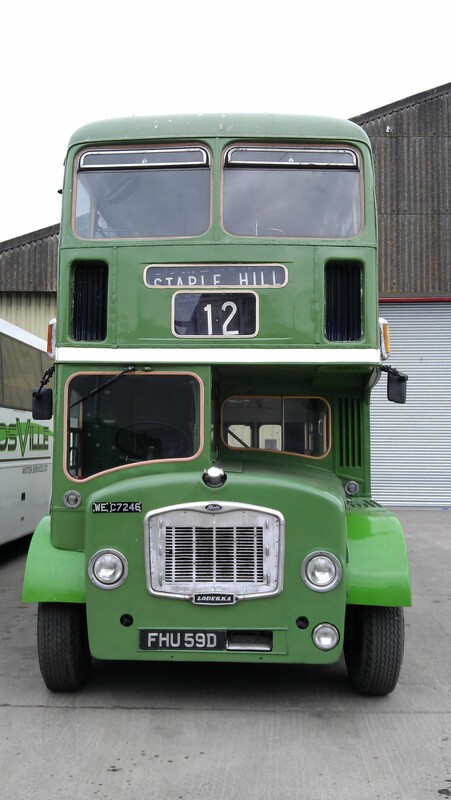 Crosville Motor Services, for whom I work as a part time heritage driver, want to expand their pool of drivers with the skills needed to successfully take a heritage bus out on a private hire duty. I agreed to act as instructor as my abilities as a half-cab bus driver seem to be appreciated. I’m rarely at the depot on a Sunday – I’m usually in church – and there was very little activity going on when I arrived last Sunday morning. One Lodekka was being prepared for a private hire duty in Bristol by its driver and conductor but otherwise the place was quiet. After introducing myself to my candidates I found the training bus, which was hidden behind a modern open top bus. Ex-Bristol Omnibus C7246 (FHU59D) is a Bristol FLF6B and is one of 6 Lodekkas in the garage at the moment. With preparation done, I gave the 4 candidates – one lady and three men – a brief introduction to driving heritage buses. I also gave them some diagrams which show graphically what you do with your feet when changing gear in different scenarios, along with the text from my ‘How to drive a vintage bus’ page from this blog for them to read as their homework. I then took them out for a 10 minute demo ride while they crowded round the little window behind the cab which, on this bus, has no glass. Returning to the safety of the deserted industrial estate where the depot is located, I invited the first candidate to climb into the cab. He was the only one to have had previous experience, having begun his career as a conductor – then driver – with Bristol Omnibus. Although his technique was a bit rusty, it was obvious that he had driven a Lodekka before. The other three were completely new to the experience and we worked hard, within the confines of the estate road network, to get the sequence of events right when changing gear with a constant mesh gearbox (often known as a ‘crash’ gearbox). As you can imagine, just like learning to ride a bike, there were plenty of ‘crashes’! Fortunately we were able to stop the bus and start again without worrying about other road users. This is where the missing window came in handy. I could shout instructions and advice easily from my position at the bottom of the stairs. It was also the warmest spot in the bus as I was leaning on the back of the engine bulkhead! By the end of the morning two of the trainees had progressed far enough with up and down changes to venture out onto the roads so, before we broke for lunch, I let them drive a short out-and-back trip. I breathed a sigh of relief when we managed to get back without any stoppages or breakages. After lunch I worked with the other 2 trainees until they too were fit for a trip out on the roads. We stayed on the level as I wanted to concentrate on the basics of heritage bus handling before introducing gradients as this would required different gearchanging techniques. The lady driver was a delight to work with. She was the most passionate and motivated candidate I’ve had. I found out that she had wanted to drive a heritage bus ever since the Crosville Rally last year. Apparently she had ridden on a bus with one driver who crashed the gears and gave the passengers quite an uncomfortable ride. It must have been a guest driver – none of us Crosville chaps would drive like that, I hope! Then, at the end of the day, she had ridden with me as part of a convoy of Bristol buses down to the seafront and back and she was amazed at how smooth my driving was compared to the other chap. I was suitably flattered! But it just goes to show how important it is to drive the bus properly, especially when you have paying passengers on board. The final exercise of the day, before the daylight began to fade, was to try a few gradients. I did a demo trip which included a hill climb and a descent towards a roundabout. This would require a climbing and a descending down-change. With reference to the diagrams I had prepared and a good deal of shouting through the little window, all four trainees managed the exercise reasonably well. One made a pig’s ear of it and needed another try but they earned themselves some well-deserved praise from me. After putting the bus to bed we stood around and talked about the day’s excellent progress. There can be no doubt that driving a heritage bus, especially one without power steering or synchromesh, can be a tough challenge. This course showed that it’s possible to teach the basics in one day which should lead, after more instruction and lots of practice, to a few more competent drivers being added to the heritage roster. 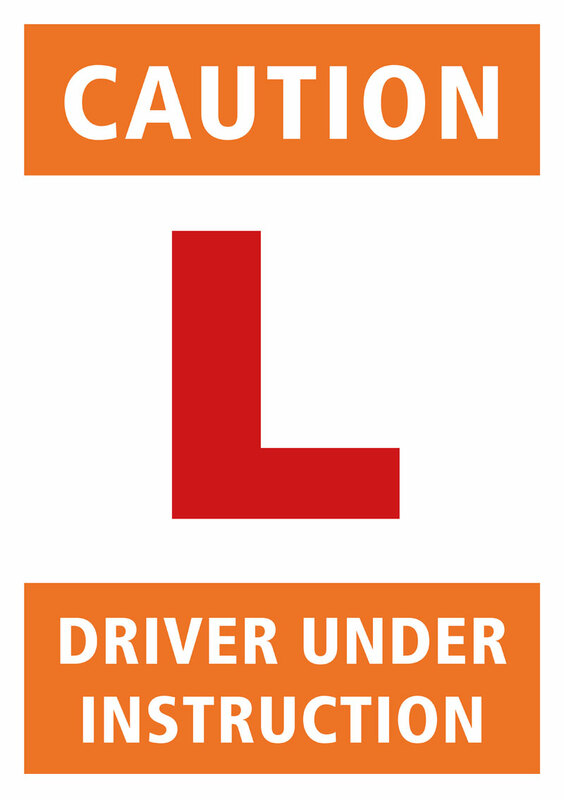 So, if there are any operators out there who need to train new heritage drivers but don’t have the time or expertise to do it, please get in touch. This entry was posted in Driving, Training and tagged Bristol Lodekka, Bristol Omnibus, constant mesh, crash gearbox, driver training, FLF6B. I’ll have to offer my services to Crosville, but aren’t we doing ourselves out of a job? Not really. I understand that a number of bookings this year had to be cancelled because suitable drivers weren’t available. Pity I live so far away. David, 2 of the older heritage drivers had decided not to do their dCPC and not to renew their licences as it was cost restrictive in terms of what they earn balanced against outlay as part time/casual drivers, and Gary left us as well to pastures new, which left us with very few trained and available drivers, hence the recent programme of training up know committed staff rather than unknown volunteers, as can be seen by John’s remarks above their skills can leave a lot to be desired, the bookings for heritage hire’s is growing year on year along with the rest of the business, hope this helps to explain the need. John there are a set of Crosville buttons on eBay. To be found at item no. Wouldn’t mind a copy of those training aid diagrams if possible! Hi Nathan, thanks for reading my blog. Keep an eye on your emails!